Image: DC Comics. Cover Art by Gary Frank and Brad Anderson. 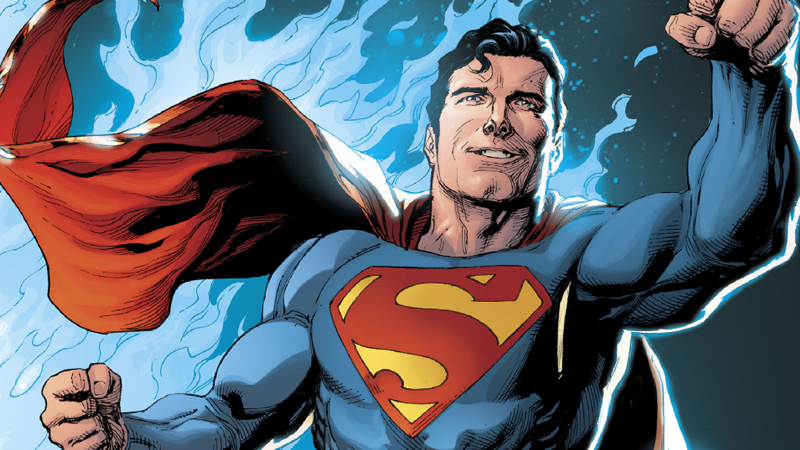 The ongoing saga of post-Rebirth Superman culminated this week in the final part of “Superman Reborn” in the pages of Action Comics. It didn’t just forever solve the tale of two Clark Kents though—it had some extremely big ramifications for the whole of the DC Universe. The release of Action Comics #976—by Dan Jurgens, Doug Mahnke, Jamie Mendoza, Christian Alamy, Trevor Scott, Wil Quintana, and Rob Leigh—this week pretty much picks up directly where Superman #19 left off. Which means we’re still in Mr. Mxyzptlk’s interdimensional limbo, and the ghostly red energy of the New 52 Superman and Lois Lane just merged into the bodies of their Pre-New-52 counterparts, bringing them back to life... and bringing their own memories of the New 52 back, meaning that neither of them know who Jon Kent is. Jon’s grief at the thought that his parents have been replaced by a Superman and Lois Lane who don’t know him at all plays throughout the issue, as Mxyzptlk’s bizarre limbo starts breaking down around the Kents—and the fifth dimensional imp keeps cackling on about how the return of the New 52 Superman is an event that will be noticed by a mysterious “him” left to the reader’s imagination. All hope for Jon getting his parents back seems lost, until he recognizes that the two mysterious orbs of energy from the last issue, which he used to inadvertently resurrect the New 52 Clark and Lois, are still there... and now they’re glowing blue, the same energy field that glowed around his parents when they entered Mxyzptlk’s limbo. The two orbs transform into ghostly figures, and Jon recognizes that they’re the essences of his parents, just as the red forms were the essences of the New 52 Superman and Lois. The young boy uses the energy of his parent’s essences to blast Mxyzptlk back, and eventually merge the two ghosts with the New 52 Clark and Lois. This time, there isn’t an expulsion of energy. It’s an integration. There are no longer two Supermen and two Lois Lanes, separated by being from different universes. There is only one of each, a melding of both realities into single characters, characters who remember the events of both the pre-Flashpoint DC universe and the events lived by the New 52 rebooted counterparts. Jon gets his parents back, but they’re something more now. But it’s not just the Kents who are affected by this mishmash of realities. As we go on to learn, thanks to the mysterious Mr. Oz—that other mysterious interdimensional wanderer that’s been slumming around the DC Rebirth comics with talk of big plans for the fates of Superman and the wider cosmos of existence—in order to accommodate for the existence of a Superman and Lois who remember both the Pre-Flashpoint DC universe and the New 52 rebooted one, the people they know, and the events they’ve impacted upon, have to be cosmically shuffled to refit. Essentially, around Superman and the many lives he’s touched, the fabric of reality itself has been re-written. The DC universe is no longer the New 52 one, but a hybrid of both it and the Post-Crisis, Pre-Flashpoint one. “A new, existence-wide, single reality, rebuilt from two,” as Oz intones. This obviously has ramifications—monumental ones—that stretch far beyond the lives of Clark Kent and Lois Lane. We have yet to see the evidence of it in the wider DC Comics roster, but this is essentially a brand new DC Universe. Moments from before the New 52 reboot in now exist again, alongside the events of the New 52 universe itself. This is so out of nowhere that I feel like I might have gone slightly insane reading this comic book. DC doesn’t just up and create a whole new universe for its comics without a fanfare. But this has to affect more than just Superman and Lois’ lives, right? If it is as Oz says, this is a brand new reality, and we don’t know what’s completely happened beyond these pages, what other characters now retain from their pre-New 52 existence. But this is big. And it’s not just Oz who’s paid attention to what’s happened to the Kent family. Someone else might have something to say about the Man of Steel just casually rewriting the DC cosmic. That someone appears to be on Mars. Sitting on the Red Planet, contemplating the vagaries of existence. The person allegedly behind the whole mystery of the New 52 universe “stealing” a decade from existence when it was born. You know the one. That guy. Maybe it’s time for Dr. Manhattan’s true intentions to start being revealed.